Pitta-kapha is a dual combination constitution that refers to the state of two doshas, pitta and kapha, being predominant in one’s body composition. This concept of dosha constitution is also recognized as prakriti. In Ayurveda, prakriti is responsible for a person’s mental health and physical stature. Pitta dosha is reflected by the elements of fire (agni) and water (jala). While heat is its inherent nature, pitta also consists of qualities such as lightness, sharpness, intensity, and fluidity that have a direct influence on your metabolism, digestion, and energy. Kapha dosha, on the other hand, is represented by the elements of water (jala) and earth (prithvi). While coldness is the inherent nature of kapha, it also exhibits qualities of smoothness, heaviness, rigidity, oiliness, and dullness that primarily affect the bones, muscles, and other dense body structures. It has a binding influence and is regarded as the cellular glue that holds body structures together. The main outcome of the combination of these two opposing doshas is the need of constant balance, as their features are contradicting. Finding this balance is the key to good physical and mental health of an individual with pitta-kapha composition. To balance your dosha levels you need to use a combination of lifestyle measures including diet, yoga, and seasonal guides. Ayurvedic herbs provide an additional edge not just for maintenance of balance, but also to treat dosha imbalances as and when they do occur. Some of the best Ayurvedic herbs for a pitta-kapha constitution include the following. While Amalaki is exceptionally calming to aggravated pitta, the herb is also capable of pacifying vata and kapha. 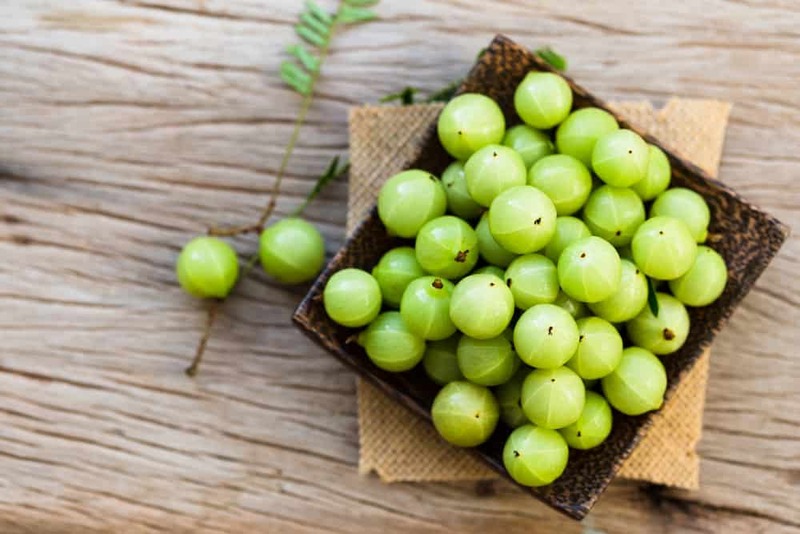 As research seems to suggest, Amla may be an effective remedy for managing various common ailments and digestive problems. Furthermore, it represents an ideal solution for controlling hyperacidity and other symptoms of imbalanced pitta dosha. Amalaki also has the ability to soothe kapha, which means that it could help strengthen bones, protect the liver, and nourish the lungs. Triphala is an ancient Ayurvedic formulation consisting of three beneficial herbs, including Amla (Emblica officinalis), Haritaki (Terminalia chebula), and Vibhitaki (Terminalia bellirica). These three potent herbs form a solution that is, when taken regularly and in moderation, effective at balancing both pitta and kapha doshas. 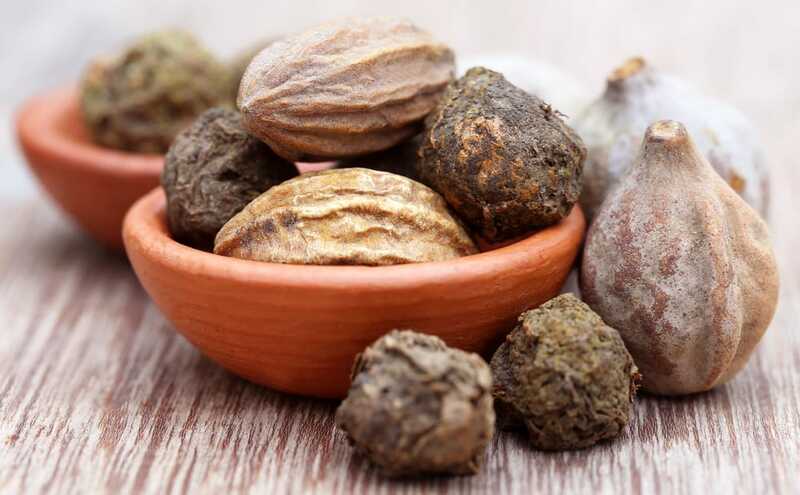 Triphala is known to enhance all thirteen digestive fires (agni) and the anti-aging Rasayana. As studies indicate, this herbal solution also has a detoxifying and cleansing effect on the digestive tract. Furthermore, Triphala may replenish and rejuvenate dhatus or body tissues. 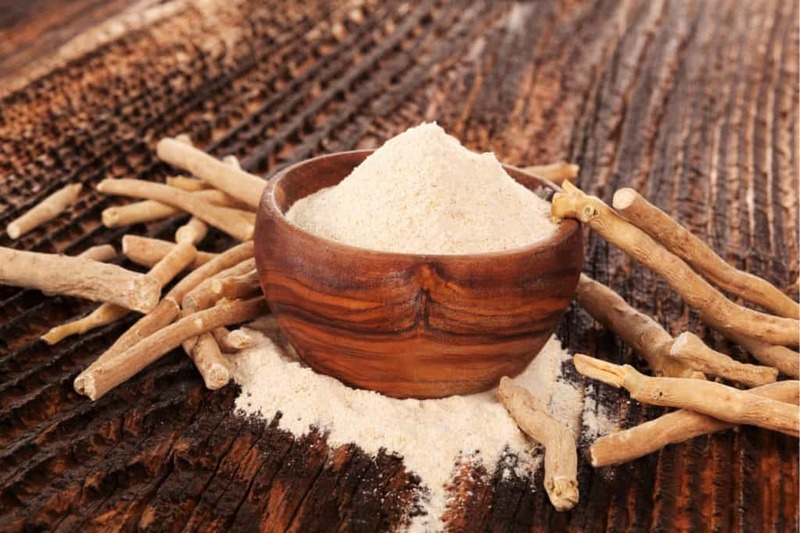 As one of the most potent herbs that Ayurveda has to offer, ashwagandha (Withania somnifera) is valued for its ability to balance kapha while suppressing pitta. For that reason, the herb is useful when dealing with an aggravated pitta dosha and depressed kapha constitution. According to recent research, ashwagandha promotes healthy blood sugar levels both in healthy individuals as well as in those with diabetes. Of course, these are preliminary findings and more research is needed in this area. Furthermore, a pilot study suggests that the herb can significantly improve thyroid functioning, which is responsible for managing metabolism and digestion. This, in turn, produces excellent results when it comes to balancing aggravated pitta. 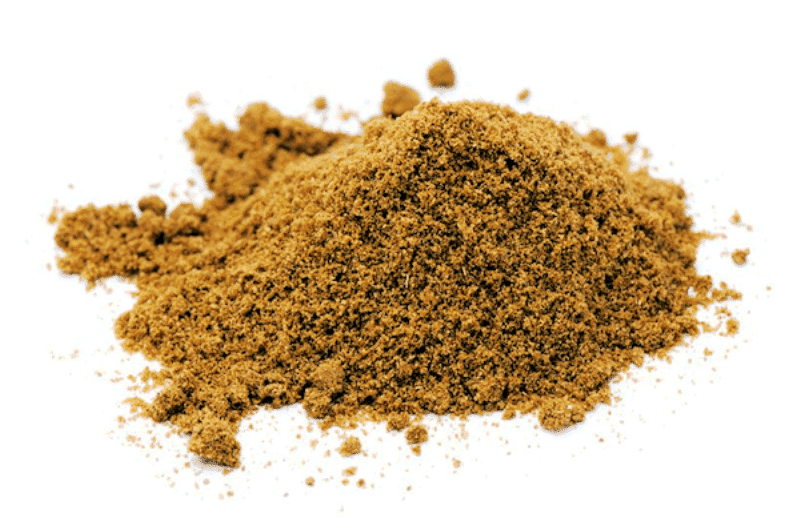 Also known as the “three pungents” formula, Trikatu Churna consists of three spicy ingredients including dry ginger (Shunti), black pepper (Maricha), and Indian long pepper (Pippali). The formula excels at boosting pitta dosha and strengthens the associated digestive fire, while lowering the effects of excessive kapha dosha. Furthermore, it promotes healthy metabolism and is able to eliminate congestion, detoxify the digestive tract, and alleviate inflammation. In many ways, Trikatu Churna is the ideal polyherbal formula for Pitta disorders and Kapha imbalances. Neem, also known as Azardiracta indica, remains a popular Ayurvedic herb that is now also gaining attention in mainstream pharmaceutical research. As historical records inform us, it has been applied as a supportive curative agent for as long as 4,500 years. 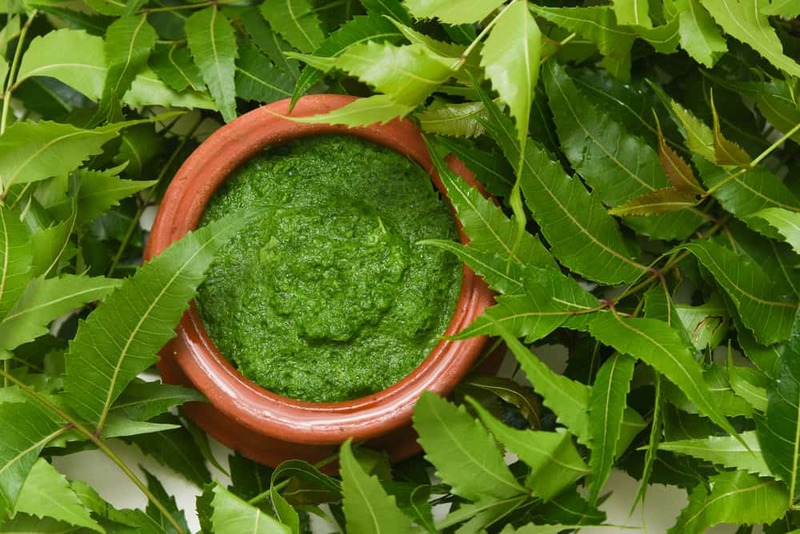 In Ayurveda, however, Neem is most recognized for its ability to balance the pitta-kapha constitution. While imbalanced pitta dosha may result in inflammation and skin conditions such as rashes, excessive kapha can lead to drowsiness, sluggishness, and even depression. As a powerful coolant, neem can be used to manage excessive heat caused by aggravated pitta. In addition, neem’s dry and light qualities allow it to counter the effects of imbalanced kapha as well. According to one study, neem extract could also have some role to play in the management of diabetes, which results from malfunctioning metabolism. For someone with a pitta-kapha constitution, neem can also help promote a healthy balance within internal organs, such as the liver, that can otherwise be aggravated if kapha dosha spikes. While the herbs mentioned above do have a stabilizing influence and will help balance your pitta and kapha levels, there are plenty of other herbs and foods that you can use to find that balance. To understand the classification of herbs based on prakriti or dosha type, we have plenty of insights from classical texts. They recommend herbs based on specific tastes because of the corresponding effects on each dosha. To counter the effects of aggravated pitta, it is advisable to use herbs with cooling effects, such as mint, cumin, coriander seeds, and fennel. Similarly, herbs with heating effects, such as ginger, black pepper, and chilies are appropriate for promoting pitta and countering kapha. Keeping this in mind, some of the other herbs used to balance pitta-kapha levels include the likes of dhava, arjuna, ridge gourd, raja masha, lotus, edible camphor, and brahmi. While herbs can be extremely helpful in maintaining a healthy pitta-kapha constitution, lifestyle changes, including daily routines, diet, and exercise are also important. Keep in mind that herbal treatments are effective because of their nutritional and pharmacological properties, which is why it is always a good idea to consult your doctor before you begin using any new product. Thilakchand K.R., Mathai R.T., Simon P., Ravi R.T., Baliga-Rao M.P., Baliga M.S. (2013). Hepatoprotective properties of the Indian gooseberry (Emblica officinalis Gaertn): a review. Food & function. Oct;4(10):1431-41. doi: 10.1039/c3fo60237k. Andallu B., Radhika B. (2000). Hypoglycemic, diuretic and hypocholesterolemic effect of winter cherry (Withania somnifera, Dunal) root. Indian journal of experimental biology. Jun;38(6):607-9. Sharma A.K., Basu I., Singh S. (2017). Efficacy and Safety of Ashwagandha Root Extract in Subclinical Hypothyroid Patients: A Double-Blind, Randomized Placebo-Controlled Trial. Journal of alternative and complementary medicine. Aug 22. doi: 10.1089/acm.2017.0183. Samy, R. P., Pushparaj, P. N., & Gopalakrishnakone, P. (2008). A compilation of Bioactive Compounds from Ayurveda. Bioinformation, 3(3), 100–110.